Welcome back to the Monday Mix – your grab bag of social media and technology news you might’ve missed (especially if you were watching this weekend’s Oscar coverage). Simply click a button to make your Pinterest board (or boards) a secret. 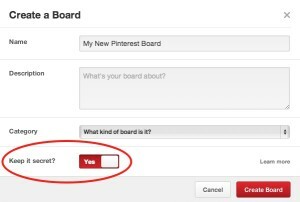 Pinterest Gives Users More Secret Boards: Great news – Pinterest users are no longer limited to three secret boards. Users can now create an unlimited number of secret boards! If you haven’t used a secret board yet, they’re great for content ideas that aren’t quite ready for their public debut. 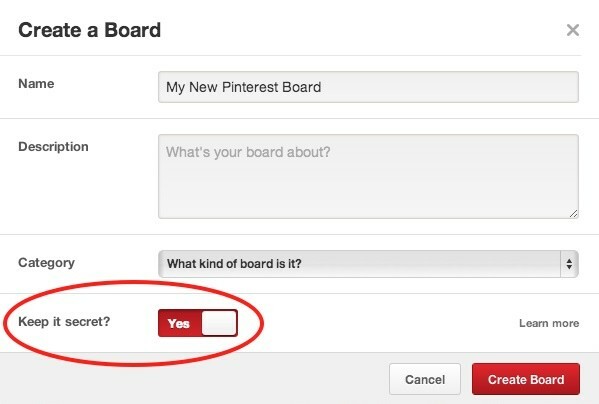 If you’d like to learn more about secret boards, here’s some helpful information from Pinterest. Gmail Continues to Make Email Marketing Difficult: Unsubscribing just got easier for Gmail users through the introduction of a prominent “Unsubscribe” link. Instead of scrolling all the way to the bottom of a marketing email for the “unsubscribe” link, users will find the link at the top of marketing emails next to the sender email address. The feature isn’t entirely new as it was available to a portion of users and was recently made available to all users. Here’s an email with the “Unsubscribe” link in the header that I found in my Gmail inbox.